In 1973, Franz Klammer wins the downhill race at Planai/Schladming, Austria, in DYNAFIT boots and, three years later, he wins the Olympic men’s downhill in Innsbruck. DYNAFIT experiences unprecedented success in the downhill World Cup when its skiers winning the event eight times in succession: 1974-75 to 1982-83. In 1980, Leonhard Stock wins an Olympic gold medal. DYNAFIT is granted permission to use the Austrian coat of arms and, one year later, the successful DYNAFIT World Cup Competition model is the worlds first ski boot to be awarded with the IAS’s Golden Seal of Approval. In 1991, DYNAFIT is acquired by Raichle Sport Holding AG, Kreuzlingen, Switzerland. Five years later, DYNAFIT returns to Austria: On Jannuray 1, 1996 DYNAFIT GmbH is established with headquarters at Molln, Austria. In 1998, the production of ski boots is discontinued and, three years later, DYNAFIT becomes part of Salzer Holding GmbH, the parent company of the Salzer-Ueberreuter-Economos Group. 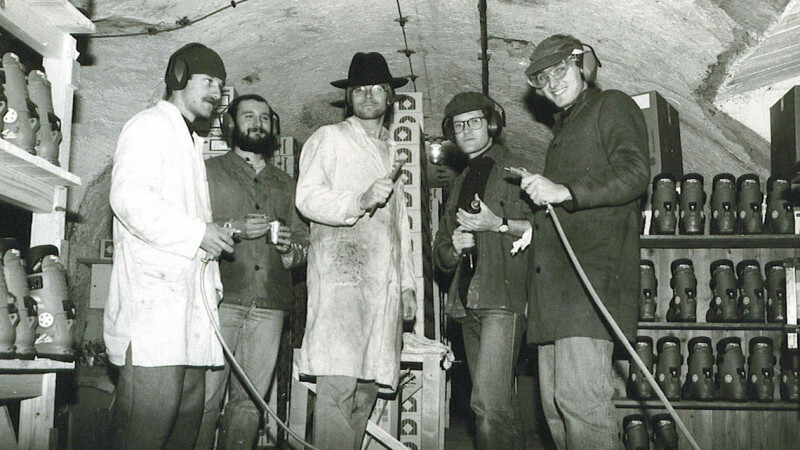 It is a family business that originally focused on printing, publishing and paper, but since the ‘70s is also engaged in plastic processing. In 2002, DYNAFIT Skischuh GmbH changes its name to DYNAFIT Sports GmbH. With that change, DYNAFIT now breaks new ground and starts selling ABS avalanche airbag packs worldwide. 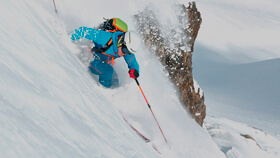 In February 2003, the Salewa Group, which belongs to the Oberalp Group since 1990, buys DYNAFIT. Thus, it becomes part of that family-owned business in Bolzano, Italy. However, its headquarters remains in Munich, Germany. Ski mountaineering athletes are the ones determining the structure of the DYNAFIT brand and its product development. In 2004, the new (specialty) skis D612 and D914 as well as the new "Speedskin Fix" skin-stretching system represent the result of this close market collaboration. In August 2005, DYNAFIT Team members Benedikt Böhm and Basti Haag succeed in their speed record on Mustagh Ata (7,545 meters) -- 10 hours, 41 minutes, ascent and ski descent. 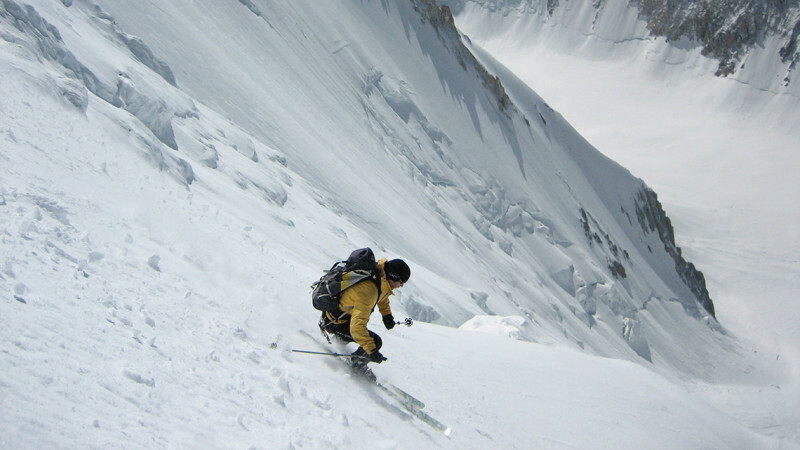 One year later, the DYNAFIT Team succeeds in a speed ascent with ski descent on Gasherbrum II (8,035 meters). 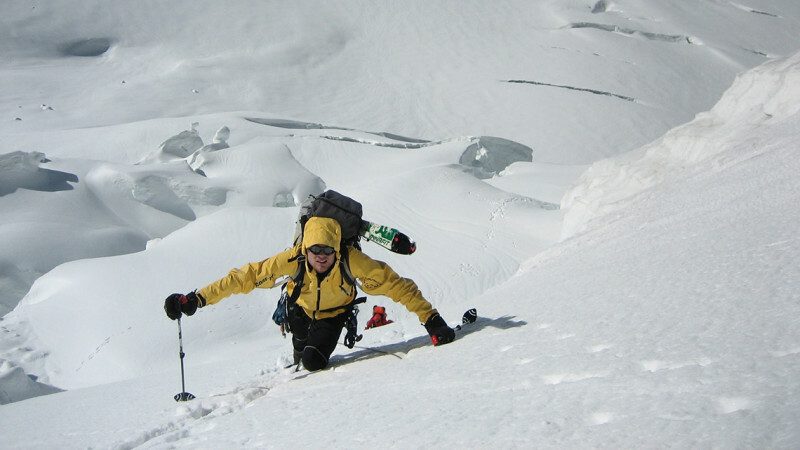 Two years later (2007), the DYNAFIT Team attempts Manaslu (8,163 meters), but is forced to turn back just below the summit due to bad weather conditions. In 2008, the DYNAFIT Women’s Team successfully completes its goal: Chamonix-Zermatt-Alagna (140 km/87 miles, 10,000 vertical meters) in just 3 days on the Haute Route Plus. Four years later, the DYNAFIT athletes set another speed record when they return to Manaslu. Their speed ascent and ski descent of Manaslu takes less than 24 hours. 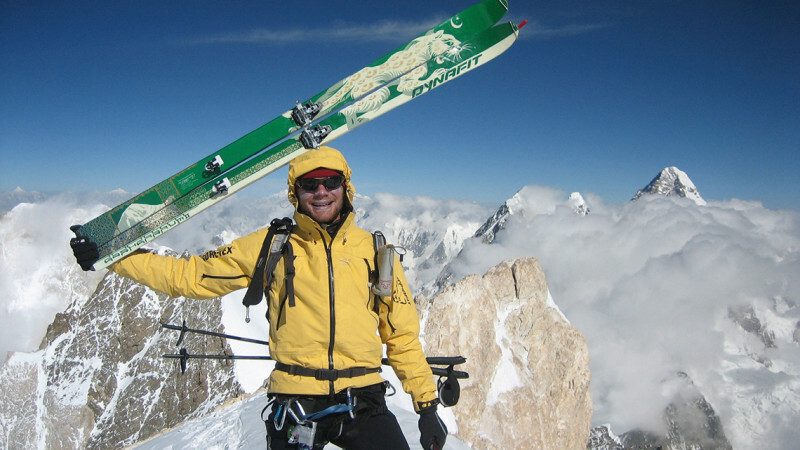 After 15 hours and 3,300 meters of climbing without supplemental oxygen, Bene Böhm stands on top of the eighth-highest mountain in the world. His partners, Basti Haag and Constantin Pade, are forced to turn back short below the summit. In total, including speed ascent and ski descent, the endeavor takes 23½ hours. In 1983, DYNAFIT presents the Tourlite, a completely new design and back then was also the lightest ski/climbing boot in the world. Only two years later, DYNAFIT introduces the CDE collection (rear entry), which is the first and only Alpine ski boot at the time with GORE-TEX® Thermo Dry. In the years that follow, DYNAFIT introduces several products that are milestones in ski mountaineering history. At the start of the ‘90s, DYNAFIT launches the Tourlite Tech boot/binding combination. Considered a sensation, it is the lightest safety binding in the world for ski touring -- lighter than any other comparable binding on the market. In 2006, DYNAFIT introduces the TLT Vertical binding, followed by the “Beast” Freeride binding in 2013 and the Cho Oyu Ski - the perfect ski for all conditions in the Alps or the Himalayas. 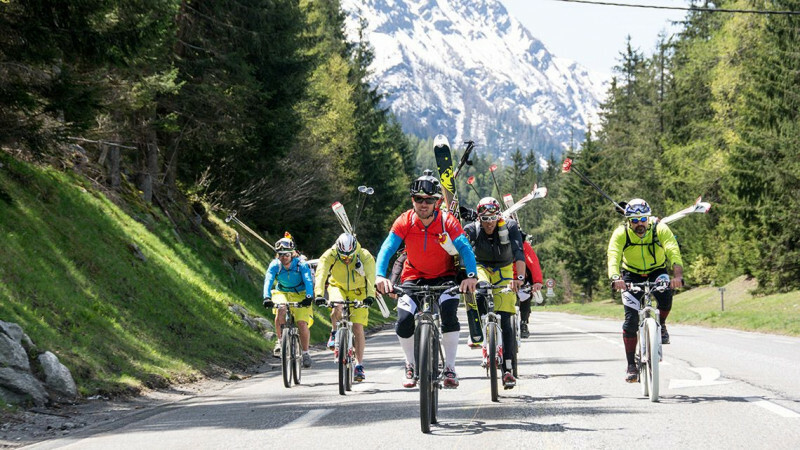 DYNAFIT becomes main sponsor of the largest ski touring event in the world – the Patrouille des Glaciers, a traditional race in Switzerland from Zermatt to Verbier that attracts up to 4,000 ski tourers. What will the future hold? DYNAFIT will continue to live its passion and produce the lightest, best-performing, yet most reliable equipment for mountain sports enthusiasts. Follow along on our exciting journey – Stay tuned!